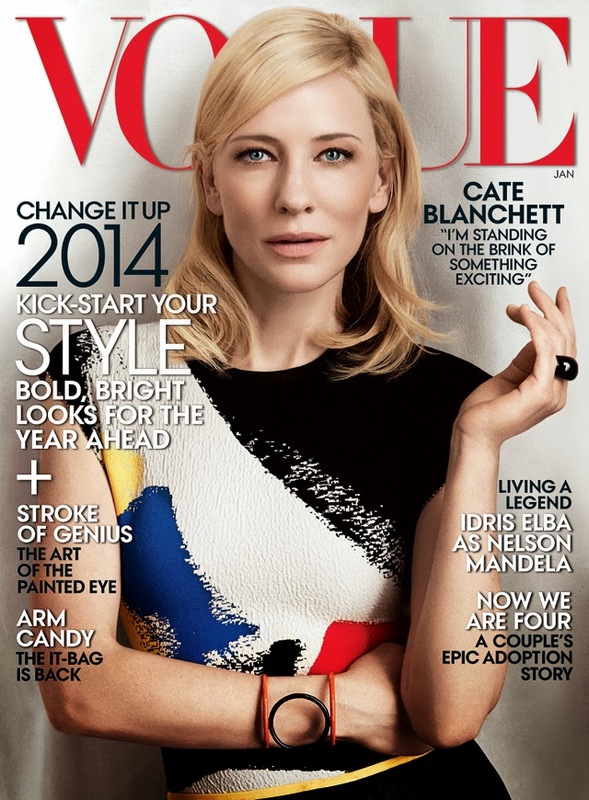 Cate Blanchett covers Vogue next month in a rather surprising and modern image shot by Craig McDean. We can't quite put our finger on why this cover sticks out like it does. The Celine ensemble makes Cate look like she should be hung in the MET, not covering a magazine. But then again, Vogue also took inspiration from art for their December 2013 cover featuring Jessica Chastain as a Pre-Raphaelite Flaming June. Is there a pattern emerging here? The accompanying photographs found within the magazine are quite simply stunning, however. So even if you don't buy into the issue, we'd say these photographs are worth a looksy.